Leica released M7 Titanium “50 Jahre M-System” single lens kit special limited edition of 500 limited sets and 3 lens kit of only 50 sets in 2004 to commemorate the 50th anniversary of Leica M system. Decided to extend presence to areas outside Europe, Leica opened their first flagship store, the Leica Store Ginza, in Tokyo, Japan in 2006 to display full series of Leica products to Asian Market. Leica MP Titanium was introduced in April, 2007 to commemorate the first anniversary of the opening of Leica Store Ginza. It was sold only in Leica Store Ginza in Japan with 150 pieces of limited edition, without releasing to worldwide. 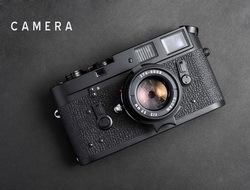 Leica, the origin of 135-format mechanical rangefinder cameras, has made a new legend to introduce Leica M Monochrom, the world’s first digital black and white rangefinder camera, integrating traditional black and white with digital technology at May, 2012. Leica then continued to enhance black and white digital technology by introducing Leica M Monochrom (Typ 246) in 2015. Summilux-M 35mm f/1.4 lenses are the best among 35mm lenses. 35mm wide-angle and f/1.4 large aperture create an excellent combination, which has captured lots of outstanding photos. 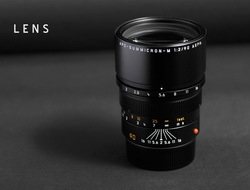 The birth of Summilux-M 35mm f/1.4 ASPH (I) allows the image performance to reach a very high level, and Summilux-M 35mm f/1.4 ASPH (II) even consists of greatly enhanced optical design. It shows that Leica is able to go from a peak to an even higher peak. This year is the 60th year of Leica M rangerfinder camera. In 1954, Leica released the first bayonet mount rangefinder, M3, which changed the history of screw mount rangefinder and opened a new brilliant page of M series. To commemorate the 60th anniversary of Leica M, Leica has recently released many new products at Photokina 2014. In the century of advanced technology development, Leica has made an important step forward and enters into the new digital world. Leica M9 introduced in 2009 is the smallest and the lightest full frame digital rangefinder camera with the highest quality. Leica M5 received many criticisms on its camera appearance and size, leading to a large fall at Leica's selling performance. Leica made great efforts to examine the problem and launched M6 in 1984. M6’s portable size and precise focus, together with its through-the-lens manual light metering, regained appreciation in photography industry. M6 even had a long production period of 20 years, making it the longest among Leica M series cameras. Accumulating years of experience, Leica is able to keep enhancing the optical design of its lenses. 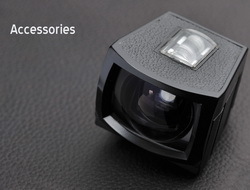 After Leica stopped the production of Summicron-M 35mm f/2 IV 7-element in 1996, Leica introduced Summicron-M 35mm f/2 ASPH with optical design of 7 elements in 5 groups and an aspherical surface. The advantages of high image quality, fast and lightweight allow it to become the best Leica M 35mm f/2 lenses in the aspect of lens-making technique. Leica, the creation king of 135 full-frame format mechanical rangefinder cameras, has walked through 100 years, produced lots of excellent cameras and lens, and given photographers artistic experiences they dream of. To commemorate the 100 years of glorious history, from the beginning to current, and from film photography to digital photography, Leica M Edition “Leica 100” with limited edition of 101 sets was released in 23rd May 2014.